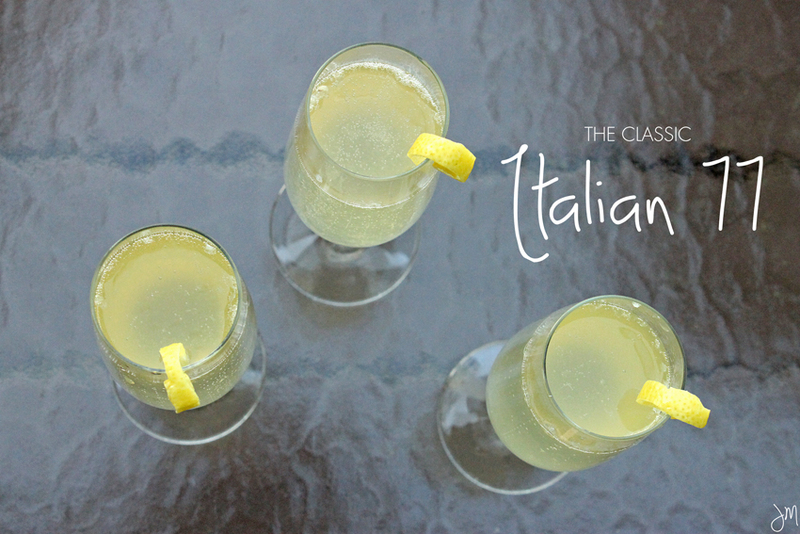 The Italian 77 is a light and floral cocktail similar to a classic Champagne cocktail or the French 75, but with a little less fuss. 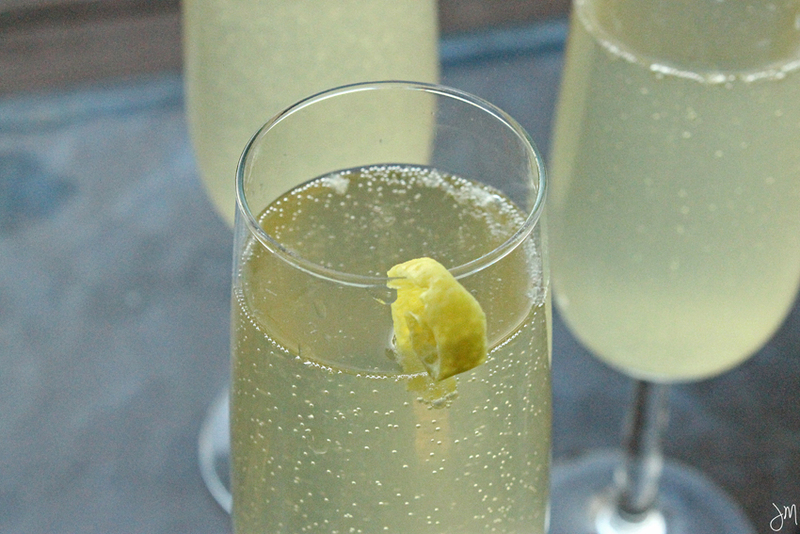 It is bubbly, girly, and delightful for sipping. It is also the libation of choice for my aunt who happened to be in town for her birthday and kindly instructed me on the art of the perfect Italian 77. For similar sips, try this or this! 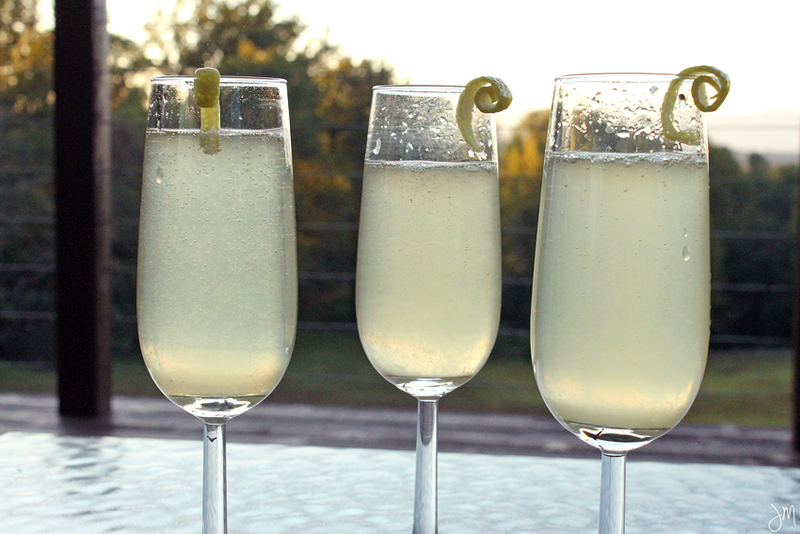 Pour St. Germain and lemon juice in the chilled flutes. Top with Prosecco. Rub lemon peel around rim to bring out the flavors and the oils. Looks so good! I feel like because I'm Italian, and because of this yummy photo, I need to recreate immediately! Great way to celebrate! To this I can attest.